When bringing in existing PDF plans, you can make a number of changes to individual PDF sheets/pages. During the initial uploading process, there are several changes you can make to the PDFs being uploaded. Rotate the PDF Orientation. Display the PDF in an orientation that makes it easier to work on, rather than the orientation it may have come in. 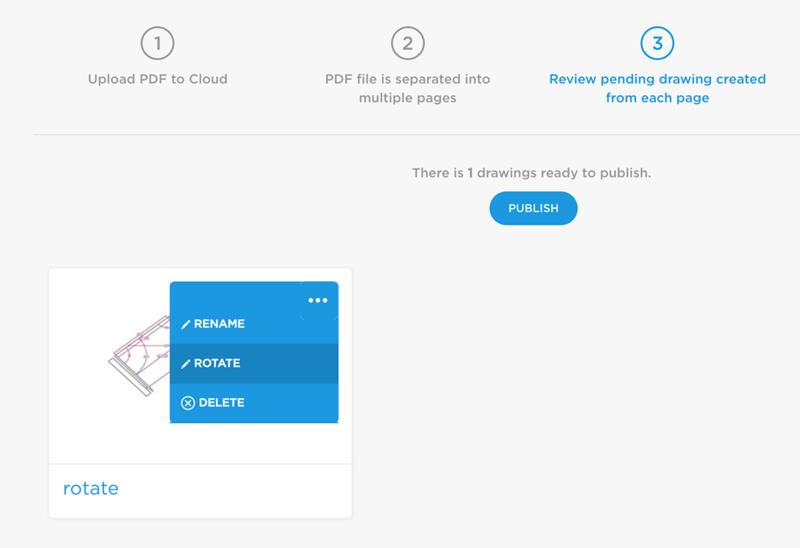 There are a number of steps involved with uploading the PDF. During the 3rd step "Pending Publish", click on the More Options icon and choose from one of the 3 options.